In a large glass microwave safe bowl add brown sugar and cream stirring to thoroughly combine. Microwave on high for 7 minutes. Remove bowl from microwave to a heatproof surface and stir in butter to melt. Microwave on high for seven minute. While mixture is cooking, line 2 baking sheets with parchment paper or waxed paper. After 7 minutes, remove bowl to a heat proof surface and beat vigorously while adding pecans, vanilla, and salt. 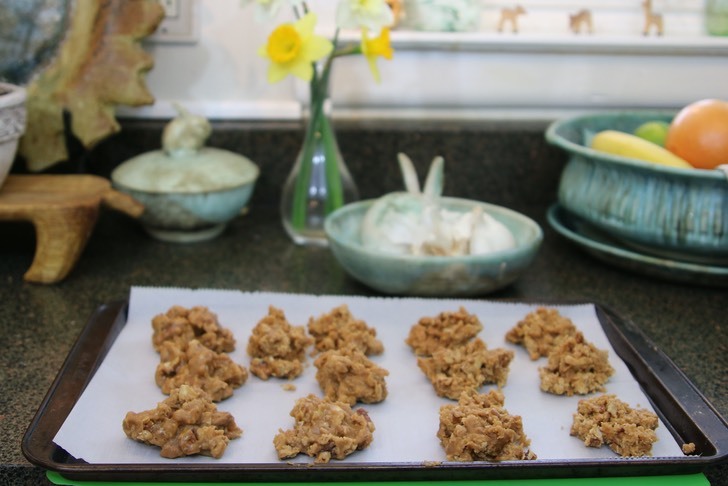 Drop pralines by the tablespoon on prepared baking sheets. Allow to cool and harden before removing.